In March, insurance companies involved in providing Harvey Weinstein with insurance refused to pay for his legal defense involving accusations and sexual harassment and sexual assault. In what may perhaps be a new type of insurance defense case, Chubb Indemnity Insurance Co. and several other units have specifically asked a state supreme court to issue a judgment declaring that insurance policies exclude defending charges that involve intentional acts such as sexual assault and discrimination. Eighty policies were issued to Weinstein and his family between 1994 and 2018, including coverage for personal liability. While that would normally cover legal costs to defend against damage or injury claims that involve accidents, Chubb is claiming that Weinstein’s conduct was intentional, and thus Chubb should not have to financially provide the costs of a legal defense against the 11 sexual assault and harassment lawsuits currently pending against him. One of the prime examples of insurance companies being involved in claims like these involves certain religious institutions. Insurers started excluding sexual misconduct claims from their contracts in the mid-1980s, whereby any sexual misconduct coverage was typically offered as separate coverage, with aggregated, smaller limits, or on claims-made bases. 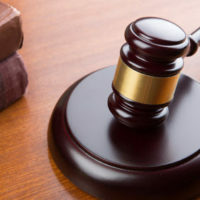 This separate coverage could typically then cover sexual abuse, sexual harassment, sexual molestation, as well as claims related to the alleged perpetrator’s employer or supervisor being accused of negligence in hiring, retention, or supervision. When it comes to issues like these, it is key to do a careful evaluation of the insurance contract and the applicable facts, as well as any specific policy or statutory intentional act exclusions. In this case, the sexual abuse allegations span over the course of three decades, which can be challenging for courts in terms of determining the appropriate triggered policy and the spectrum of potential outcomes. It is common for intentional acts to be excluded by specific policy language, as well as statutory or public policy. In addition, when it comes to injuries that arise from sexual misconduct, most courts have found that they are expected or intended (i.e. that an intention to inflict injury is presumed). Where courts have generally found that insurers do owe a defense obligation is when negligent retention or supervision for premises liability is involved, which is not the case for Weinstein and Chubb Insurance. When an insured company itself (such as Weinstein’s employer) knew or should have known that the “employee’s” (here, Weinstein’s) sexual misconduct was substantially probable, many courts have found that the insurer has no indemnity obligation. There are many circumstances under which it makes sense for insurance companies to deny claims. If you are a Texas insurer facing a liability lawsuit, contact one of our Brownsville insurance defense attorneys at Colvin, Saenz, Rodriguez & Kennamer, L.L.P. today. We have defended many major insurance companies against a broad range of claims.